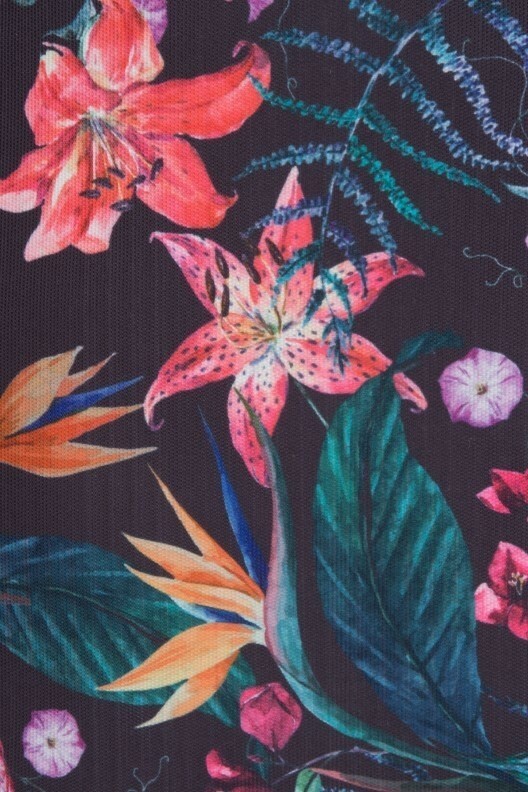 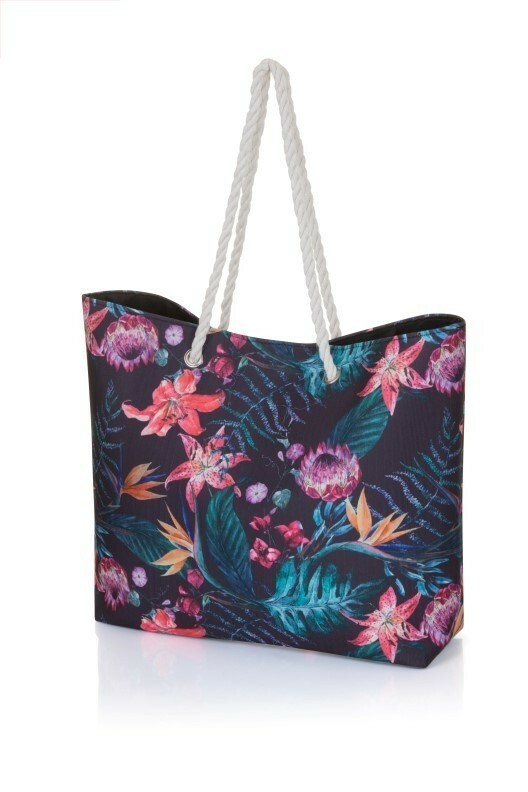 Hit this season's tropical trend in our awesome black tropical print beach bag with rope handle. 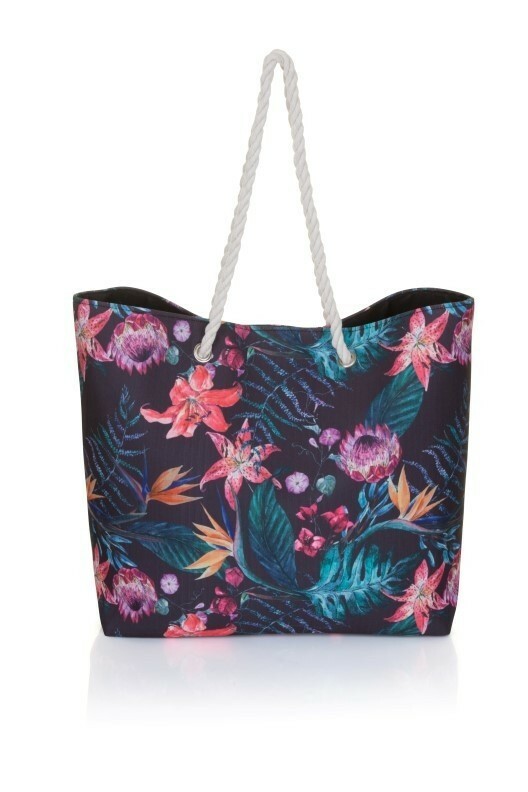 Perfect for packing all those beach essentials. 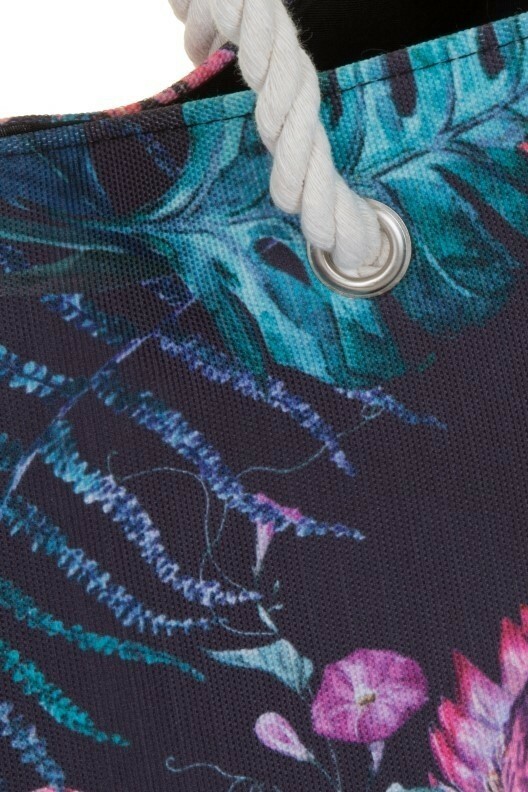 Match up with your favourite South Beach swimwear.